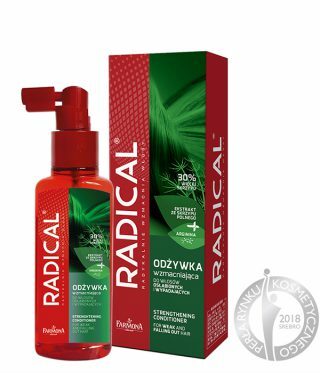 The first comprehensive treatment significantly strengthening the hair and preventing hair loss. 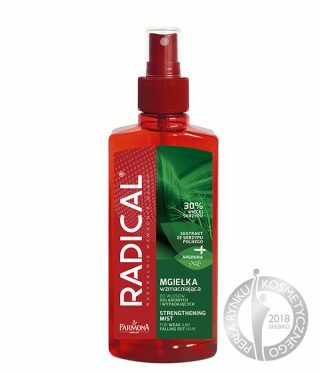 New, improved formulations! 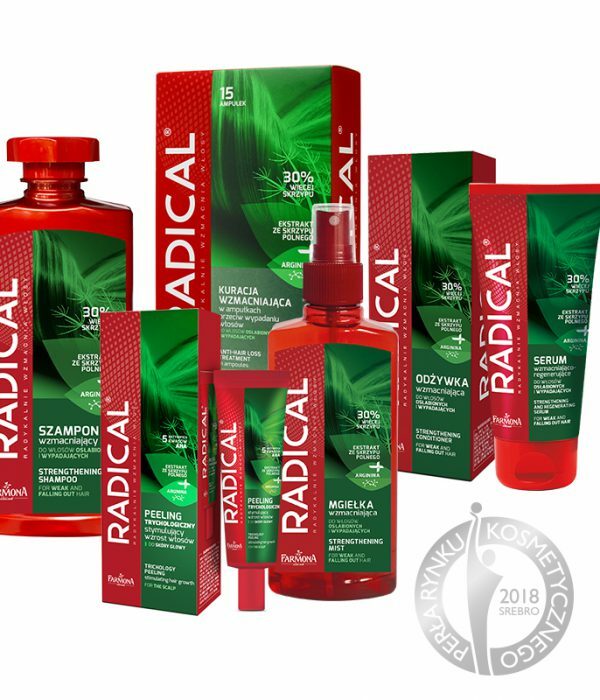 New packaging! 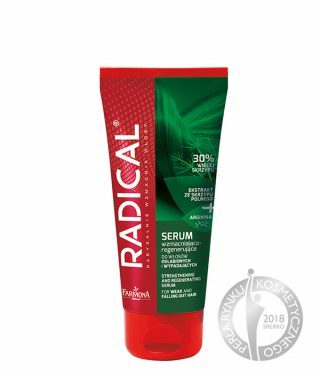 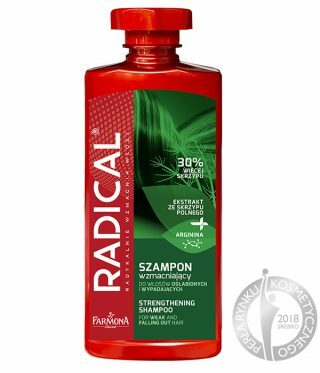 Treatment with the use of Radical® cosmetics and diet supplement inhibits hair loss, stimulates its growth process and provides the interior of hair roots with all the essential nutrients. 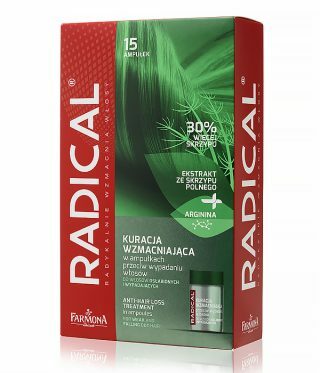 Hair becomes again strong, beautiful, full of light and energy. 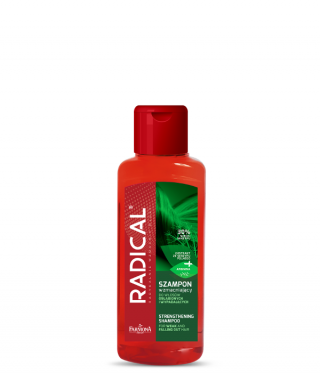 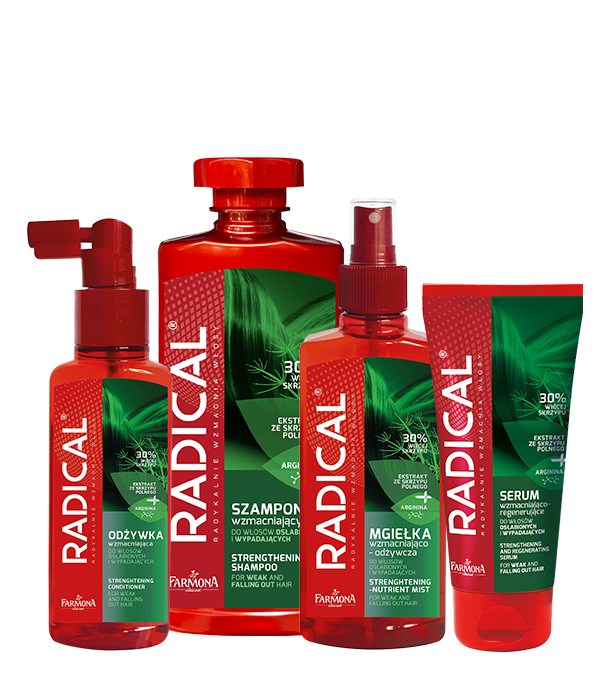 Radical – beautiful, healthy, and strong hair, full of energy, vitality, and shine.